OPEL ASTRA G CC (T98) 1.2 16V 09.00 - 01.05 55 75 1199 0035-406. OPEL ASTRA G Coupe (T98) 1.8 16V 03.00 - 10.00 85 116 1796 0035-385. OPEL ASTRA G Stufenheck (T98) 1.2 16V 09.00 - 01.05 55 75 1199 0035-403. Chevrolet Lacetti 1.8i (with 4 cyl engine = F18D3 DOHC) = models from year 2005 to 2017. Brisk Special Silver LGS Premium Spark Plugs = No Gaping Ready to Fit. This Sale is for 4x "DOR15LGS-WC" High Performance Silver Multipoint LGS Spark Plugs. Originale 96990231 - 96376288 - 96464000. Per Chevrolet Aveo - Spark. Spark plug. Denso XU22EPR-U. Kit 4 candele accensione. Esperienza e professionalità al vostro servizio da oltre 50 anni. Chiave: 16. 4x Zündkerzen (Set) Denso Serie TT geeignet zur CHEVROLET AVEO (T300) 1.6 /ab 03-2011 -> . Masseelektrode mit einem schlankeren. Bewirkt eine drastiche Verbesserung des Kraftstoffverbrauchs. Model - CHEVROLET MATIZ - 4 CYLINDERS 0.8 & 1.0. Ignition spark will jump always at point of highest fuel concentration. 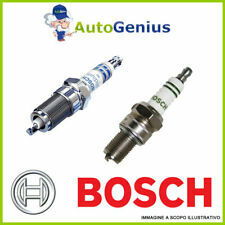 The combustion velocity in conjunction with knock sensor assures engine-power increase. This Sale is for 5x "RR17YS-13-WC" Brisk Silver Single Point YS Spark Plugs. Chevrolet Colorado 3.5i (3460cc, 3494cc - 147-164kw) = models from year 2004 to 2018. (fitted with 14x25mm threaded spark plugs). Zündkerze: fester SAE-Anschluss. Zündkerze: 1-Masseelektrode. Zündkerze: entstört, 5 kOhm. Zündkerze: mit Kegeldichtsitz. Produktionsvariante (z.B. Motorcode, Bremssystem, Scheinwerferanlage) Ihres Fahrzeugs zuzulassen. This Sale is for 6x "GOR17LGS-WC" High Performance Silver Multipoint LGS Spark Plugs. Chevrolet Blazer 4.3 EFi (with 4300cc V6 engine = W,X) = models from year 1986 to 2005. fitted with 14x17.5mm threaded spark plugs.